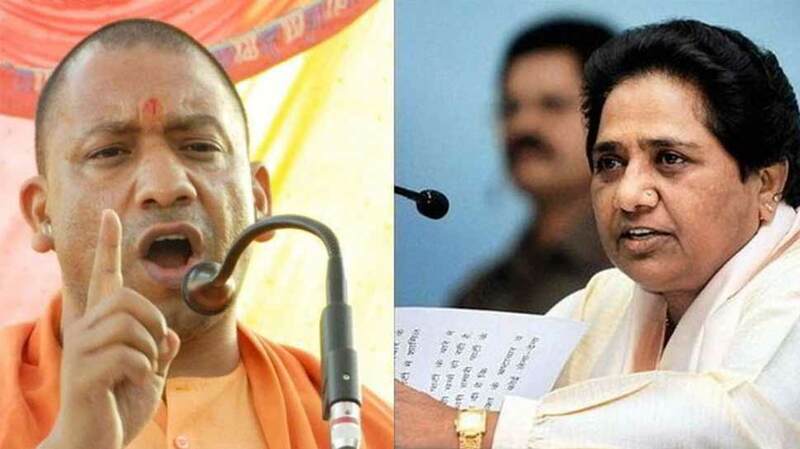 New Delhi: Taking note of their alleged objectionable statements in speeches, Election Commission on Monday barred Uttar Pradesh Chief Minister Yogi Adityanath and BSP chief Mayawati from election campaigning for 72 hours and 48 hours respectively, for violating the Model Code of Conduct (MCC). The Commission observed Mayawati in her impugned speech, has appealed to secure votes on religious lines that tantamount to violation of provisions of ‘General Conduct’ of “Model Code of Conduct, for the guidance of political parties and candidates”. While Yogi Adityanath made some objectionable statements during a public rally at Meerut on April 9. EC said that the Uttar Pradesh Chief Minister has accepted using reference of “Hara Virus” and “Bajrangbali” in his speech.